I’m Brenda Alford, the singer, the newly retired teacher, the wife, mother, grandmother, daughter, sister, neighbor, and friend. I could not be any of these without God. His Love, His Mercy, and His Grace have brought me to this beautiful place in my life where I am able to appreciate the gifts that He has given to me without any reservations! The gift of love is what this message is focusing on today. Without it, None of my identities would exist. God is Love, and without Him, I would not be. The Jazz that I sing would not happen if it were not for my love of God and His love for me, plain and simple. As we examine all that we experience, do, have, and hope for, I have found that when we put God (Love) first, no matter how overwhelming, how tragic or how puzzling our challenges seem, things always work out, eventually! The great jazz giant, John Coltrane, had the most extreme challenges in his life, but what was his greatest opus? What recording is he still best known for? “A Love Supreme“, a jazz anthem for the ages! Whether it’s making a living at music, teaching, house cleaning, banking, or anything imaginable, when we connect whatever we do with God and His Love, that Love Supreme, the possibilities are endless! 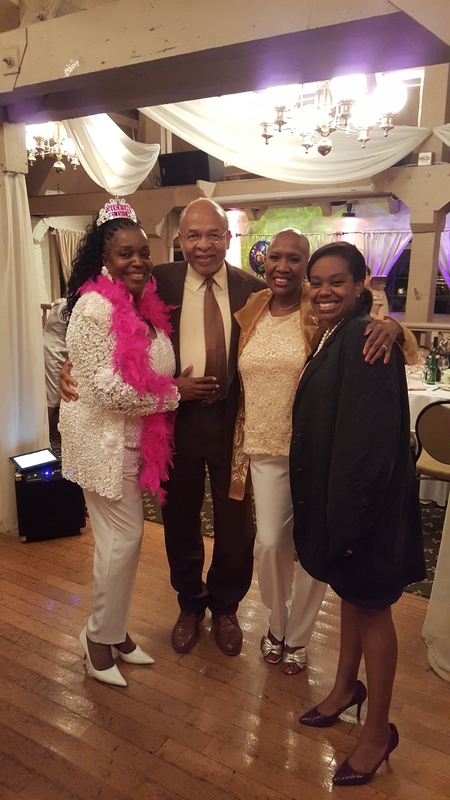 My husband, Dr. Jomills Henry Braddock, II, my sister, Sharon Alford, my daughter, Dr. Melody Baldwin, and me (in tiara and feathers!!!) at my recent retirement dinner-Thank you Avocado Elementary School and my 3rd Grade “A Team”!